N.Y.U. president John Sexton responded in writing yesterday to last week’s decision by the Faculty of Arts and Sciences to hold a vote of no-confidence in his leadership. Faculty members are said to be unhappy with the university’s plans to expand in Greenwich Village in the face of local opposition, and aspects of its international outreach. 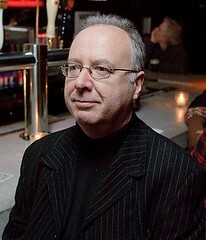 In a memorandum addressed to the faculty and distributed by email, Dr Sexton acknowledged that he takes the “vote, and the need to address constructively the concerns of faculty, very seriously.” Dr Sexton continued: “I have had no ambition or mission other than advancing NYU’s well-being, sustaining the trajectory established by my predecessors, and leaving a better university for my successors. Yet, it has become clear that my efforts have not been experienced in this way by some members of the FAS faculty.” He concludes by wishing faculty members and their families a happy holiday. The vote is scheduled to take place in March, 2013. Sarah DarvilleProtesters on the steps of City Hall this morning. It’s understandable, to me anyway, that East Village residents are concerned about NYU’s ambitious expansion plans and how they will affect the architecture and ambience of a treasured neighborhood. 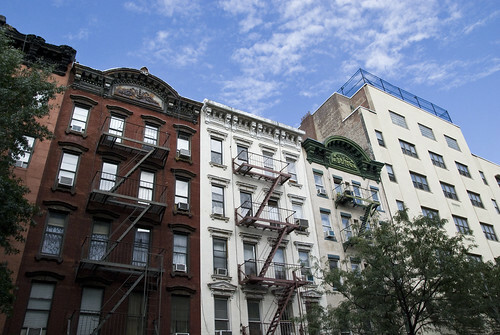 After all, it was the East Village which was landed with the enormous Founder’s Hall dormitory on East 12th Street, and although NYU might consider University Hall on East 14th Street part of the Union Square neighborhood, it supplies a steady stream of student revelers to the avenues running downtown from that location and into the heart of the East Village. Even so, I read Rob Hollander’s post today on Save the Lower East Side with some puzzlement. “East Villagers ought to be alarmed by NYU’s decision not to build on its own campus,” he writes. That’s something which might well give rise to concern, but as The Local recently reported – and even the The Greenwich Village Society for Historic Preservation agrees – that’s not the decision which has been made at all. As the preservation group put it, “NYU is insisting that they will move ahead with seeking permission to build on the adjacent non-landmarked supermarket site instead.” In other words, the university is at this time pressing ahead with its original core plan. Nobody can deny that the East Village may have plenty to worry about further down the road if the core plan does fail, but that hasn’t yet happened. So far, we are still chasing shadows. One irony which Rob Hollander’s post does highlight is that success in opposing the university’s plans for the Washington Square campus is indeed likely to have repercussions for other neighborhoods. Kim Davis is the community editor of The Local East Village. 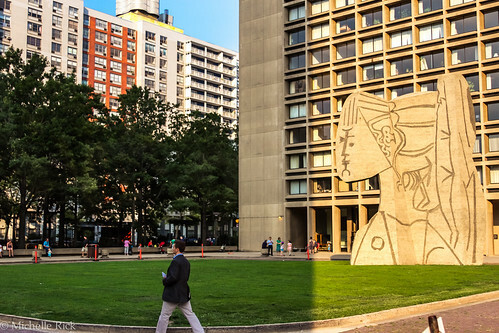 When New York University announced that it was abandoning a proposal to build a fourth structure on the Silver Towers site, it changed the direction of its expansion plan. 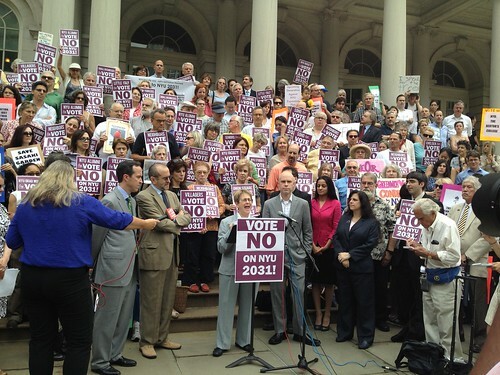 Activists opposing New York University’s “2031 Plan” for expansion won’t have the “Silver Sliver” to kick around anymore. That was the news yesterday afternoon as the university announced it would not be filing with the Landmarks Preservation Commission for approval to build the tower, which would have been the tallest building ever constructed on Bleecker Street. Although criticism of the tower had come from many quarters, the death blow seems to have been the hostility of internationally renowned architect I.M. 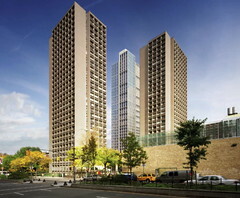 Pei, responsible for the design of the three buildings already on the landmarked Silver Towers site. In news accounts, the proposed tower was disparagingly nicknamed the Silver Sliver. My report on New York University’s expansion plans and implications for the East Village, which at this stage remain frankly unclear, drew extra attention, doubtless because this is one of those curious cases of a news source reporting on itself. It’s a curious feeling to be under such close scrutiny, and maybe it’s worth repeating that I’m working for The Local as a consultant to the Journalism Institute rather than as an employee of the university (or the Times) and with an assurance of complete editorial independence on stories about the university. Skeptics might expect nothing else, but I may as well say that the university was entirely hands-off in the development of the piece. That’s certainly a story and someone should write it. Our remit, however, is to cover the East Village – hyperlocally. It’s difficult when a story spills naturally across neighborhood boundaries – which are, after all, largely an invention of habit and realtors. But readers can expect further, unbiased reporting here if and when we learn more about NYU’s intentions for our particular backyard. On Monday, The Local’s Kim Davis wrote about NYU’s expansion plan. This morning, the Washington Square News describes the debate a bit west of our neighborhood where many residents questioned the plan at a Community Board 2 meeting Monday night. Another one of our Monday posts offered a patron’s perspective on the closing of the Sin Sin lounge. EV Grieve reports on another sign that the end is near for Sin Sin: the club’s website is down. (Grieve also has a humorous item demonstrating that concerns about noisy students are hardly a new development.) And Bowery Boogie has a post about the neighborhood’s star turn in a new Samsung commercial. What’s Next for NYU in East Village? This image from NYU’s 2031 expansion plan depicts a proposed tower near Houston and Mercer Streets. It is still unclear how the plan will affect the East Village. New York University’s so-called “2031 plan” for expansion contains detailed proposals for what it calls its “Core” around Washington Square. What concerns many East Village residents is a larger boundary that the university has drawn around the Core. University officials call it “the Neighborhood,” and on maps published about the expansion plan it clearly contains the East Village. The Neighborhood figures in the university’s long-term plans, but the specifics remain unknown. “We can’t live in a world where everything is no, no, no.” That’s New York University spokeswoman Alicia Hurley’s reaction to the welcome she received from the East Village’s Community Board 3. There’s a piece in Capital today about Alicia Hurley, the NYU vice president charged with explaining the intricacies of the university’s hotly debated expansion plan to members of the community. Seeing this piece prompts us to remind you all about our intention to cover news coming out of the university as fairly and as comprehensively as we can. To that end, Kim Davis, our community editor whose work you might have already read on the site, will take a lead role in shaping our coverage of the university. None of us is naïve about the nature of the debate about the university’s role in the community. This is an issue about which we at The Local have given a great deal of thought and planning and we certainly invite your comments and questions about how we intend to manage our relationship with the university. It should also be noted that when The Local was being developed, one of the first steps that we took was contacting the university administration to inform them that we planned to vigorously exercise our independence as journalists. The university expressed no objection and has made no effort to influence the blog’s editorial content. This blog is not the voice of the university – it is, as we’ve said from the outset, an experiment in journalistic collaboration, born of the efforts of faculty and students of the Arthur L. Carter Journalism Institute who then reached out to The New York Times as a media partner. We’ll talk more about this in the days and weeks to come but, again, we’d like to hear from you about this.